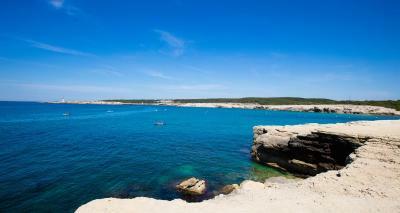 Lock in a great price for Camping Pascalounet – rated 8 by recent guests! 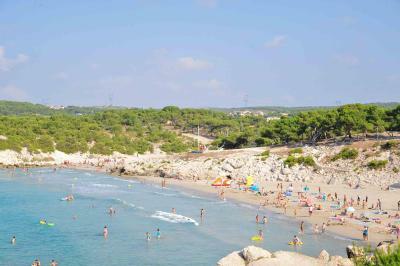 Location - a brilliant beach, weird, interesting, bizarre area - great walking, cycling,swimming. We had a bungalow - 3 bedrooms - 1 bedroom is bunk beds - suitable for children or small adults - the others were perfect for adults. 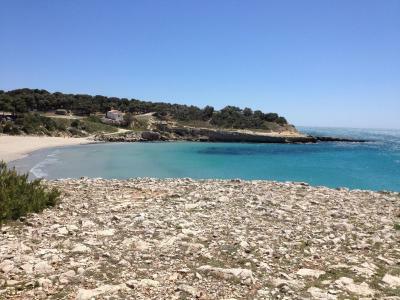 Great terrace and fabulous view - 2 mins walk to brilliant beach. It was compact and clean and had everything we needed. The staff were very friendly and helpful. It was great being so close to such a lovely beach. The bed was very inconfortable, no phonic isolation at all. A 2 pas des plages. Très bien situé pour les promenades du littoral. 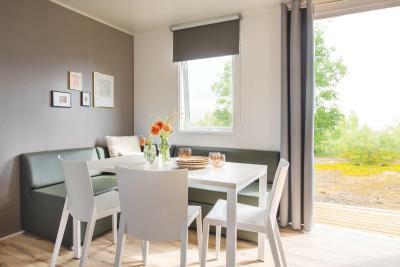 Mobil home tout neuf et bien équipé. Camping à dimension familiale. Accueil au TOP. L accès à la plage a 100m. Pouvoir y aller à pied. 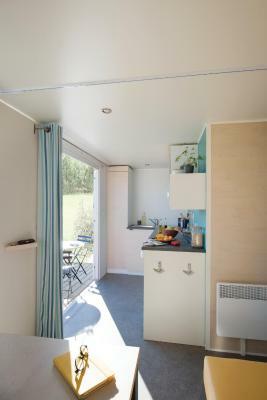 Mobil home neuf, grande salle de bains, superbe petite chambre. Très bien situé. Séjour mi octobre, camping hyper calme. La situation du camping, idéale pour les balades à pied sur la côte et la détente sur la plage. 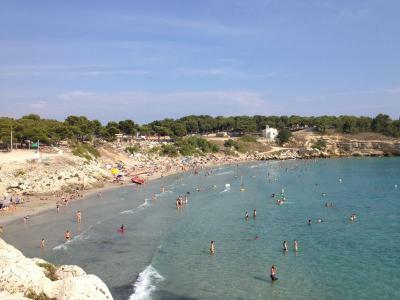 Camping Pascalounet is a 17-minute drive from the center of Martigues and less than 350 feet from the beach. 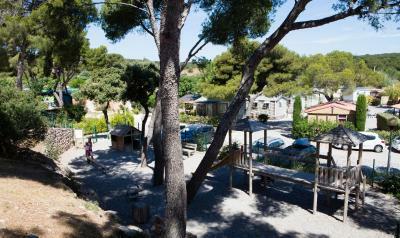 It offers a children’s playground and self-catering mobile homes. 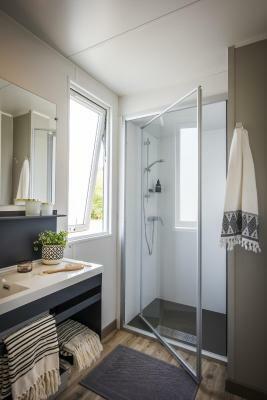 Mobile homes have a private bathroom with a shower. 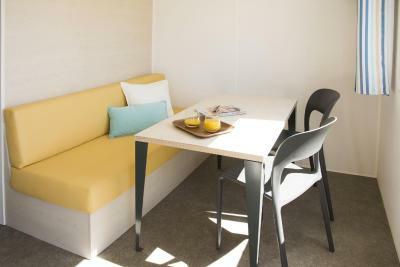 Some include a TV and a terrasse with outdoor furniture. 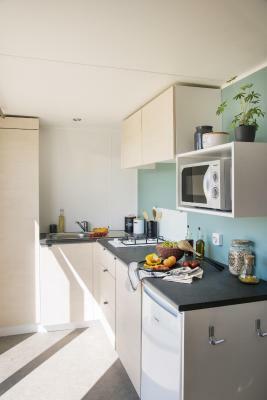 Each mobile home has a kitchenette with a fridge, a stove and a microwave. Camping Pascalounet has a snack bar that serves salads, sandwiches and ice cream. 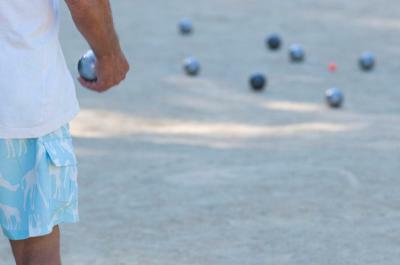 Guests can play pétanque and table tennis at the property. Bike rental is available and free private parking is available on site. 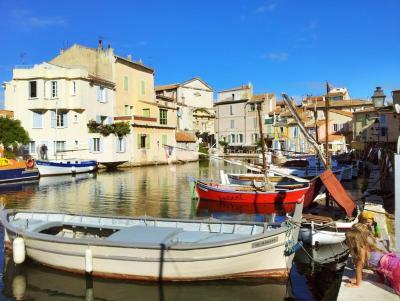 This property also has one of the top-rated locations in La Couronne! Guests are happier about it compared to other properties in the area. This property is also rated for the best value in La Couronne! Guests are getting more for their money when compared to other properties in this city. 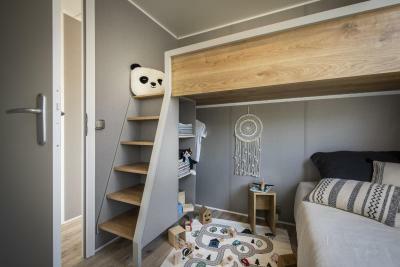 When would you like to stay at Camping Pascalounet? 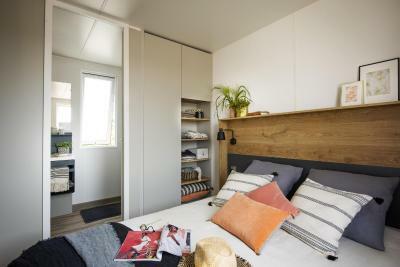 This mobile home offers a terrace and a fully equipped kitchenette. 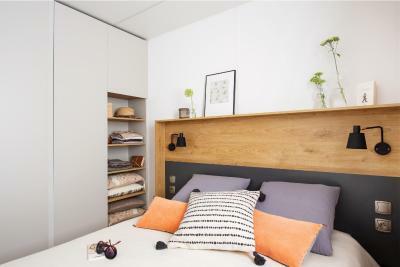 This mobile home is more spacious and offers a fully equipped kitchenette and a terrace. 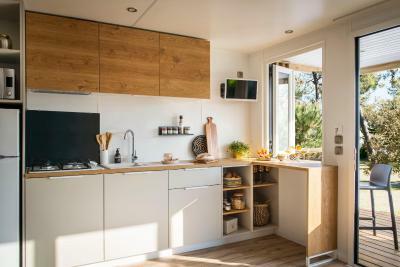 This mobile home features a dining area, kitchenware and stovetop. This bungalow features a dining area, stovetop and kitchenette. 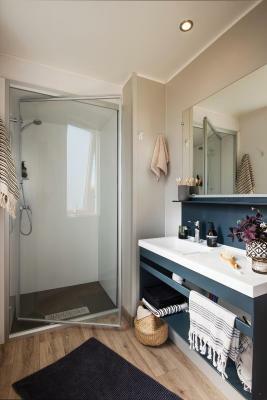 Please note that this property is accessible uniquely via a staircase with 30 steps and is not suitable for guests with reduced mobility. Please note that your vehicle will not be parked by the accommodations. This bungalow features air conditioning, stovetop and private entrance. This bungalow features a private entrance, air conditioning and stovetop. This bungalow features a private entrance, kitchenware and air conditioning. This bungalow has a microwave, private entrance and stovetop. This mobile home features a private entrance, kitchenware and air conditioning. This mobile home has a private entrance, microwave and kitchenware. 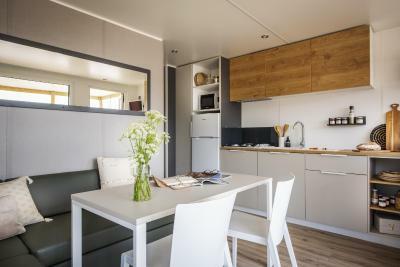 This mobile home features a sofa, microwave and kitchenette. 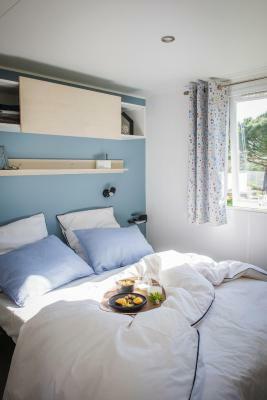 House Rules Camping Pascalounet takes special requests – add in the next step! Camping Pascalounet accepts these cards and reserves the right to temporarily hold an amount prior to arrival. Please note that a EUR 60 end-of-stay cleaning fee is not included in the price. You can choose to pay the fee or clean the accommodations yourself. Please note that a EUR 300 damages deposit will be requested upon arrival. 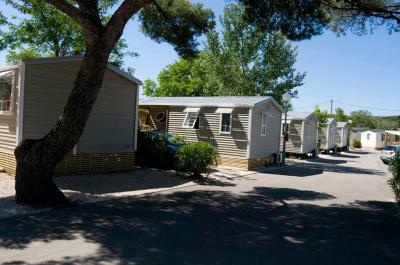 This may be used to charge for any damages incurred to the mobile home during your stay. Please note that bed linen is not provided. Bed linen rental is available at the property. Please note that the Superior Bungalows are not suitable for guests with reduced mobility. We all hit our head on the TV , hanging to close to the entree. Outside wooden floor is not bearfoot friendly. Noisy bar/restaurant across the street. Chalet for 6 . 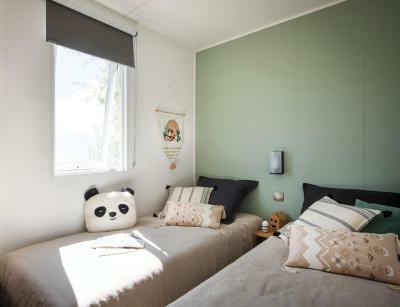 Small bedrooms, but comfortable. The double bed was very hard snd uncomfortable and eould put us iff going back. Staff - arrogant, incompetent and lazy. We had to wait until 9am to get the bond back even though we pre organised to leave at 8am. I spent 3 days arguing with staff / management about payment even though I had receipts and confirmation of payment from booking.com and verbal confirmation daily from booking.com. Very disappointing and would not recommend. Also cold / warm showers any time of the day. Loud music from the restaurant late at night. Dangerously hot showers.